Have you considered protecting your places of worship with church security systems? Although a church building is sacred ground, unfortunately it is also a fairly popular target of burglaries and vandalism. However, with a church security system you can deter criminal acts and document them with video recordings if need be. Whether the location is an urban or rural area, churches are a target for criminal acts, most likely because they may be empty for a scheduled extended period of time. Nothing fits a burglar’s or vandal’s time schedule better than an unguarded building with no people in it at a specified time. As a result, churches often are “targeted” by criminal intruders. Digital video church security systems can help deter crime and provide police, insurance companies, and courts with evidence of the crime. Digital video security systems have become very popular in the last several years due to their affordable price and wide range of optional features. Often, just the presence of digital video cameras is enough to deter a potential vandal or burglar. Add a 24/7 professional monitoring service, and your digital video church security system now acts as a burglar alarm as well. In fact, there are many ways to utilize digital video systems as burglar alarms. A basic digital video church security system consists of one to several cameras, a Digital Video Recorder or DVR and a monitor. The digital video cameras capture images and sends them as digital video data to the DVR. The DVR, which also contains a digital video computer processor, compiles the data into a digital video file. The file can then be viewed on the monitor in real-time (live) and/or stored on the DVR for future use. There are many types of digital video cameras that can be purchased with optional features to specifically meet your church security system needs. Since a church is often left unoccupied for several hours at a time, perhaps one of the best options would be a camera with a motion detector. The motion detector is a Passive InfraRed (PIR) sensor that detects motion by changes in infrared radiation in the cameras field of view. The PIR sensor is built into the body of the camera and is attached to a relay that turns the camera’s video recording on. After the motion ceases or after a specified period of time with no motion detection, the video recording stops. A church security system that utilizes cameras with motion detectors has many advantages. One advantage of this system, is that the motion detector camera conserves DVR storage by only recording when motion is detected. This means that, depending on the capacity of the DVR and the system, the hard disk drive can store several days to weeks of video. Video files are stored on a DVR in sequence so that when the DVR storage disk becomes full, the drive begins rewriting new files over the oldest files. This gives the user a chance to copy important video using optional CDs or DVDs or even Flash drives. The portable media can be played on just about any type of personal computer and can be provided to police, courts, and insurance companies. Another advantage of motion detector cameras used in church security systems is conservation of power. Digital video cameras require a power supply usually in the form of low-voltage DC (Direct Current) electricity. The power can be supplied in the form of a wire run from a power distribution center, a plug-in transformer, or rechargeable batteries. In the latter case, the motion detector camera greatly extends battery life between charges since the PIR uses only a nominal amount of constant power saving more power for video capture by the camera. Another optional feature that may be useful for church security systems is day/night vision infrared cameras. Infrared cameras can record video in total darkness using near infrared spectrum light. Infrared light is invisible to the human eye, yet the camera can sense it. 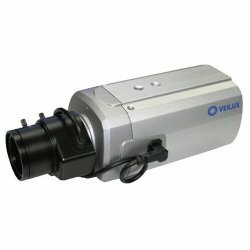 Since many areas of a church are often dark, these cameras are great for video security surveillance. As you can see digital video systems can make great church security systems. 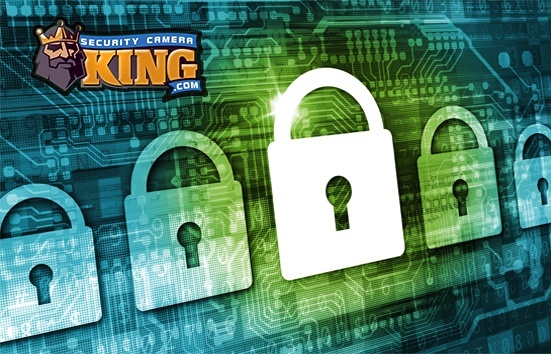 If you have additional questions or are considering the purchase of a system, contact one of Security Camera King’s security experts today on-line by clicking the Live Chat button or call us at 1-866-573-8878 Monday through Friday from 9AM to 6pm est.